While sharing stories in the Literacy Gazebo, select one of the children’s favorites from the Bookcase. 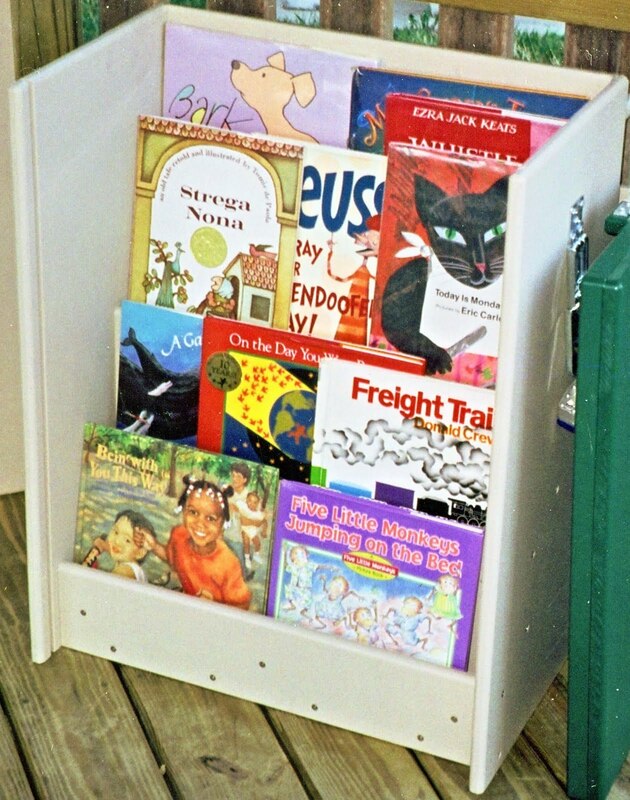 This handy-dandy bookcase is designed to display books and art supplies in an outdoor classroom setting. Specially-formulated playground plastics are used to create the shelves and the exterior of the bookcase so that the weather (i.e. rain, sun, heat and cold) will not affect whatever is stored inside, or the case itself. The bookcase features a locking lid that can be placed on the front of the display case as well as the top.